Imagine holidaying in Hamleys? Where the teddy bear's picnic, the dolls party, the cars race and the fun and games never stop! Hamleys soft plane makes the perfect souvenir of your child's first Hamleys visit and, for older children, a great way to announce that you're treating them to a shopping trip here to mark a special birthday. 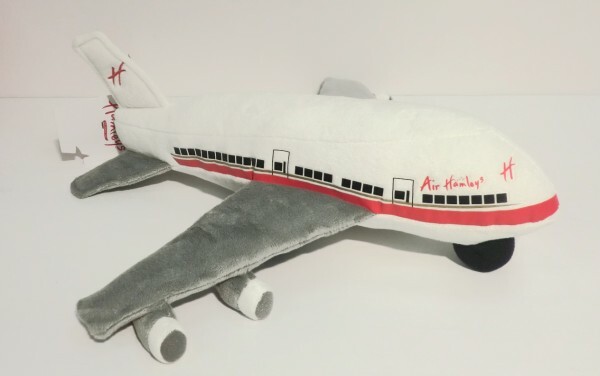 The Hamleys Soft Plane is suitable from birth.